Finally completed my first build after years of research. I have a weird part combo, since it is built for gaming and also graphic design on a tight budget. Also I wanted to build something that I enjoyed looking at every day - I know I don't NEED a liquid cooler for a locked processor, but that ugly Intel stock fan was not an option. There are a few things I'm not 100% happy with - that rainbow colored front panel audio cable, the front panel USB cable that sticks out way too much and the short GPU. I really wanted that ACX 3.0 cooler, but couldn't find it where I live. I wrapped the blue parts of the case in grey vinyl and made an acryllic GPU backplate. Think I did OK with cable management and airflow optimisation - two intake fans in the front (one of them from the radiator) and one exhaust at the back. All in all I am happy with the performance and looks of the build, I hope I don't run into any issues in the future. 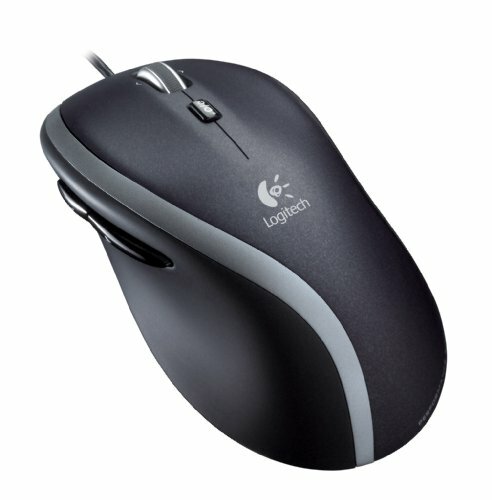 Runs fast, cool, solid performance in games and the software I use. As far as I can tell it's not worth to get an unlocked chip with the budget I had. Main con for this CPU I think is that you're stuck with Windows 10 - it's nice, but it would have been good to have options. I really love how it looks and I got it for as much as an average air cooler. Both the pump and the fan are pretty silent. Very easy installation. I don't need RAID or SLI support, so I settled on the B250 chipset. All the Asus products I have used in the past have been great, and this has to be the best looking non-overclocking motherboard I have seen. BIOS is extremely nice, installing everything on it was a breeze and the LED header is a great thing to have - I connected a strip running behind my desk through an opening at the bottom of my case and control it fom my PC. The Aura software is a little buggy, but nothing I can't live with. The only con I can think of is the rear I/O shield - that padding they have makes it a pain to install. I decided on 16 gigs of ram, and my motherboard supports only up to 2400 Mhz, so when I saw these sticks from a reputable brand with the digi camo design, black PCB and metal heatsinks that matched my build it was a wrap. 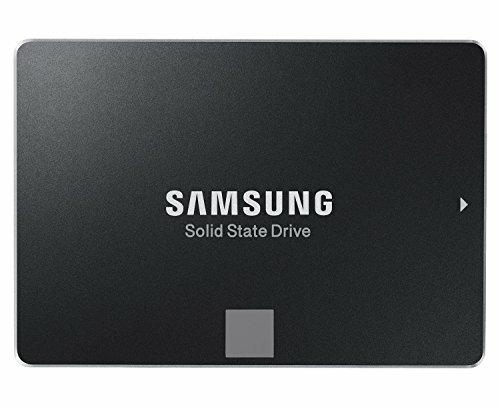 Tried and tested - best SSD for the money. PC reboots in seconds, everything runs fast on it, and I don't think I will need more than 250GB. 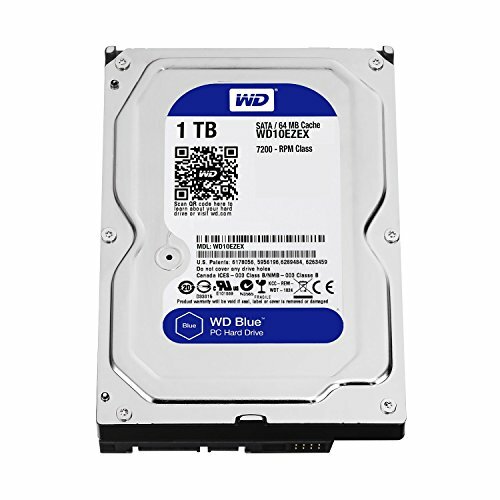 Cheapest 1TB drive from a reputable brand I could find. Runs great. I had decided on a 6GB 1060 ever since I started plannig the build. 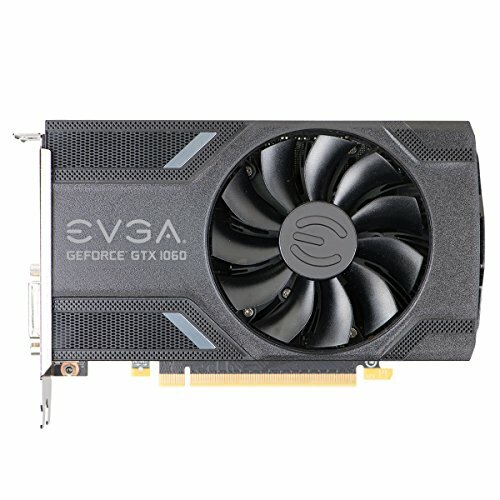 Where I live EVGA gpu's are cheaper than Asus, Gigabyte or MSI, and it matched my build. I wanted to get the one with the ACX 3.0 cooler, but it was out of stock everywhere I looked, also I got this one for much cheaper. It runs great, I don't need anything more powerful for a 60Hz 1080p monitor. I love this case. There are awesome small upgrades with the matte editions - a cover for the hole next to the PCI slot covers, a better filter for the power supply. Building in it was a pleasure - until now I had only worked in OEM cases, so I don't have much to compare, but there wasn't anything here I didn't like. I love how compact the case is, and considering I last used a CD/DVD in 2009 I don't think I'm missing out on anything. I wrapped the blue parts in vinyl to match my build, which turned out looking better than I hoped. 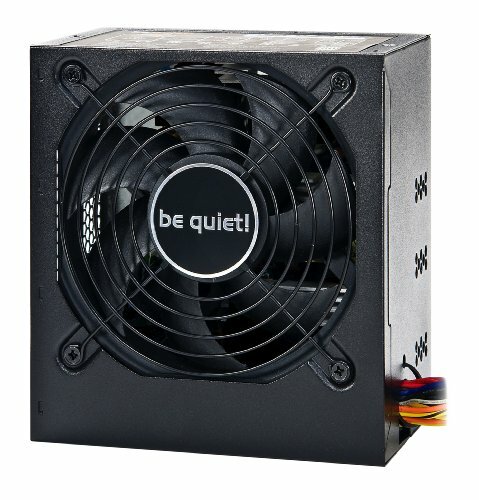 The PSU I have isn't on here, I have the BN259, which is 550W. Cheap, all black cables, reputable brand, 80+ power efficiency - everything I needed. I like Windows 10, it runs great on my machine and looks very clean and professional. Also, I got the key for $20. A few of the programs I use don't run on it. The monitor was a very important piece for me, becasue I work with graphic design. I don't have the space or the budget for a bigger one, so I settled on a 24'' 1080p panel and started digging in tftcentral. I decided on this over the U2414H, because it has a less grainy AG coating, actual buttons instead of hit-and-miss touch ones and I like the look of it more. This is an amazing monitor for the price - colors are great, images are crisp, the zero bezels look great and the menu is extremely easy to navigate. I wasn't going to be getting a mechanical keyboard at my budget, but I found this one second hand for $50 in almost new condition. Very happy with it, the Cherry MX brown switches are perfect for me, it is very comfortable to type on and all the extra keys are awesome - I love being able to change the song or turn down the volume without having to Alt+Tab my game. The backlight is also nice. I am not 100% on board with the "gaming" design, but it looks much better in person than in the photos online. Very comfortable, great sensor and just the right weight and shape for my hand. The only thing I'm not happy with is the scroll wheel - it wobbles and is hard to press, I guess due to it having those extra functions I never use. not too different from my original idea, (except for kaby lake!) GG, bro, you're livin my dream! Thanks man, did you get a Skylake chip? same here. spent 2 years. absolutely torturous. Very clean build for a first timer. Good job man! Thanks, I spent like 2 hours on cable management but it was worth it! Really nice bro . Very clean build , you did an awesome job . Should have gone with a RX 480. Drivers are better and performance is better than 1060 too. As far as I know the performance is about the same, and I just liked the evga/nvidia combination. Have ordered more or less the same parts 3 weeks ago. Waiting for exams to finnish so I can get to building it! https://pcpartpicker.com/list/qtFw8K Gonna be my first build and I was very happy to see that other peeps are also using the same-ish parts. I am gonna stick with the stock cooler I think. Already went overbudget so far xD Very glad to see it is working out great for you! It's an excellent build! Congratulations! Planning to build a similar one... I have a question, ¿Why B250 and not H270? Thanks! I just don't see myself using Raid, which is basically the only difference between the 2 boards, so I decided to save a few coins there. Although, it is extremely rare to see one build a locked CPU with a liquid (not even air cooler dayum son) cooler! Guess we share the sentiments that intel stock cooler is just horrid to look at lmao. Thanks! 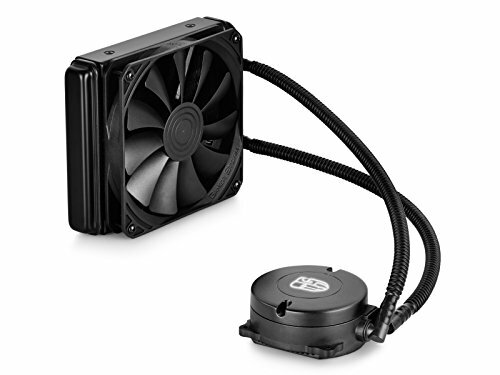 Yeah, the liquid cooler is completely unnecesarry, it's purely for aesthetics! And also sound I guess, the stock cooler is loud af. Hey nice build its very similar to the one im building this week! i also like you have waited and lurked for about 3 years, did you have any trouble with that Mobo and CPU? im going for this exact combo, let me know! Sorry for the late reply, but no, 3 months of use now and I haven't had problems with any of the parts - I can definitely recommend this part combo! foa great build, where did you get the back plate? Have you noticed the Asus Strix B250F Motherboard Boot_Device_LED stays lit after waking up from sleep mode? Wondering if anyone else having the same issue. Should have got the superclocked 1060. Otherwise great build! Those years of "research" really paid off. lmao. I meant looking into pc building, maybe research wasn't the right word. Thanks anyway.